At Dwyer Contracting Inc. we have a vast and comprehensive knowledge of large scale renovations, historic restorations and ground up building, handling every aspect of your project from concept to completion. When you choose us you can rest assured that our experienced and dedicated staff will provide the highest quality oversight and craftsmanship to every renovation and new construction project. We have close relationships with the most highly regarded architects and designers in the Hudson Valley and provide pre-construction consultation alongside their services. DCI ensures a smooth process with continual communication throughout your entire renovation or new construction project. We have longstanding relationships with our sub contractors who have been chosen due to their dedication and expertise in their trades and are a part of the Dwyer Contracting team. We use a team approach between our master carpenters who oversee each job with our outstanding team of sub contractors and designers all overseen by our owner Daniel Dwyer. We believe this teamwork approach has led to our continual success and growth in the Hudson Valley. We have the expertise, equipment and enthusiasm to turn your house into a dream home. We're a full-service builder with 30 years experience in new-home construction, remodeling projects (especially new kitchens and bathrooms) and preservation construction. Call us at 518-392-5196. The Michaels Group is recognized as a leader for quality construction and outstanding customer service. Every member of the Michaels Group understands our commitment to customer care. We know the home that we are building represents a major investment to the homeowner and we are committed to making it a great experience from start to finish. Through our experience and expertise we have designed a process that we feel is streamlined, efficient, professional and personal. We are committed to walking every step of the way with each buyer. Homebuyers work closely with our fully trained new home specialists. This team will introduce the Michaels Group and work closely with the homeowner from the initial meeting to after they move in their new home. We are committed to you. Jay Rhind Builders is based in Stockbridge, Massachusetts. We offer a wide range of construction and construction-related services that include new construction, additions, renovations, historic restorations, custom kitchens, bathrooms, and project management. Since 1979, Auburn Landing has brought a wealth of expertise, quality workmanship, hands-on management, and an innate passion for building to dozens of beautiful projects throughout Lower Fairfield and Westchester Counties. In addition to building custom homes and additions from the ground up, Auburn Landing also specializes in renovations and restorations of historic structures, and long term property management. Through focused, hands-on dedication to each project and a core group of long term employees and sub-contractors, partners Jeff Andrews and Ralph Bosch, Jr. have been delivering a diverse array of projects for nearly 40 years. SIP Building Solutions, LLC is a full-service High Performance Home Builder and General Contracting company with 35 years of experience in residential and development new construction. Our new homes beat the newly adopted energy codes by at least 60% and usually perfom even better than that! Our High Performance Homes usually rate at less than 1.2 @ach50 air exchanges per hour, translating to extremely low energy costs for the end user. We have dedicated relationships with a skilled team of professionals capable of executing projects of any size. From working with architects to complying with town or city officials, from pouring foundations to finish carpentry, SIP Building Solutions has the experience to run your project like a well-oiled machine. When building your new home or remodeling your existing home, so much rests in the hands of the contractor. The ability to coordinate with the entire team, from conceptualization through execution, is truly a craft. Staying on budget, staying on schedule,SIP Building Solutions has the means to accomplish your goals. Kellogg Brothers, Inc. is a family-owned business that has been building high quality homes since its establishment in 1933. The business was founded on time-honored traditions of excellence in workmanship, attention to detail, and personal builder/client relationships, traditions that the company embodies to this day. Kellogg Brothers offers excellence in custom residential construction in Southern Fairfield County. New England Yankee traditions of honesty and industry are the hallmark of this company. Our team approach offers the highest quality of services for discerning clients. B&B Precision Builders was founded in the beautiful Berkshires of Western Massachusetts in 1987. The company specialized in high end, custom builds filled with character and the finest finishes. In 2015 we moved our location to Pound Ridge, NY where we continue our tradition of providing the best product possible for our clients with outstanding customer service. There is no job too large, too small, or too custom for our team. Reach out to us and let us help you create the home or space of your dreams. 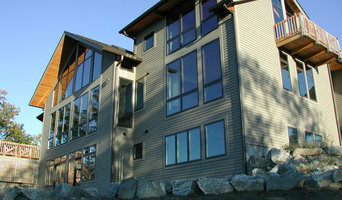 For Hillside residential home builders who also act as developers, the job starts well before the first nail is driven. They perform local market research to determine whether the prospective homesites make sense in the Hillside, NY market, as well as survey the land on which the house will be built to make sure it is suitable for construction. Custom builders also obtain the necessary permits. 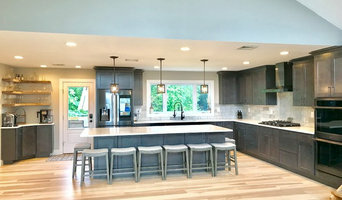 A good custom home builder in Hillside, NY has skills that go far beyond construction — he or she must supervise subcontractors and artisans; keep tabs on local zoning regulations, building codes and other legalities; inspect work for problems along the way; and perform dozens of other roles that are essential in building a quality house. Here are some related professionals and vendors to complement the work of home builders: Interior Designers & Decorators, Landscape Architects & Landscape Designers, Architects & Building Designers, Kitchen & Bath Designers, Specialty Contractors. House builders are responsible for ensuring that the home-building project sticks as closely as possible to the specified timetable, particularly in the event of change orders. Custom and luxury home builders in Hillside, NY also need interpersonal skills to deal with clients of all types, soothe frazzled nerves, negotiate conflicts and resolve problems. Find custom home builders in Hillside, NY on Houzz. Narrow your search in the Professionals section of the website to Hillside, NY home builders. You can also look through Hillside, NY photos to find a house you like, then contact the builder who worked on it.